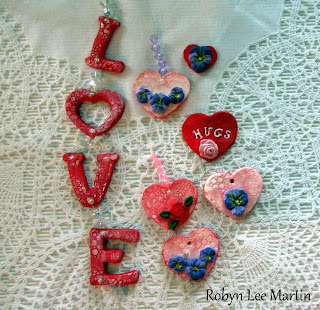 These are fun to make for Valentine's Day Ornaments or Bowl Fillers. 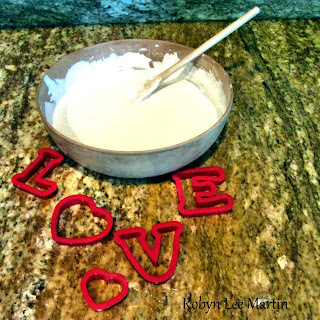 You can also make them all year long and they are GREAT for Christmas Ornies. Tied to a package as a Hang Tag they are impressive. 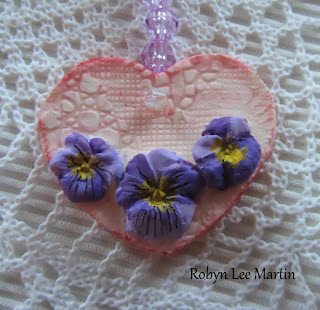 A basic Cold Porcelain Clay is easy and inexpensive to make. Assemble all the ingredients and assemble tools needed: Cookie Cutters, glass or plastic bowl, wooden spoon, measuring cup and spoons. Cold Porcelain Recipe...Recipe can be cut in half 2 Cups Cornstarch 2 Cups Elmers Glue 1 Tbsp. Lemon Juice 1 Tbsp. 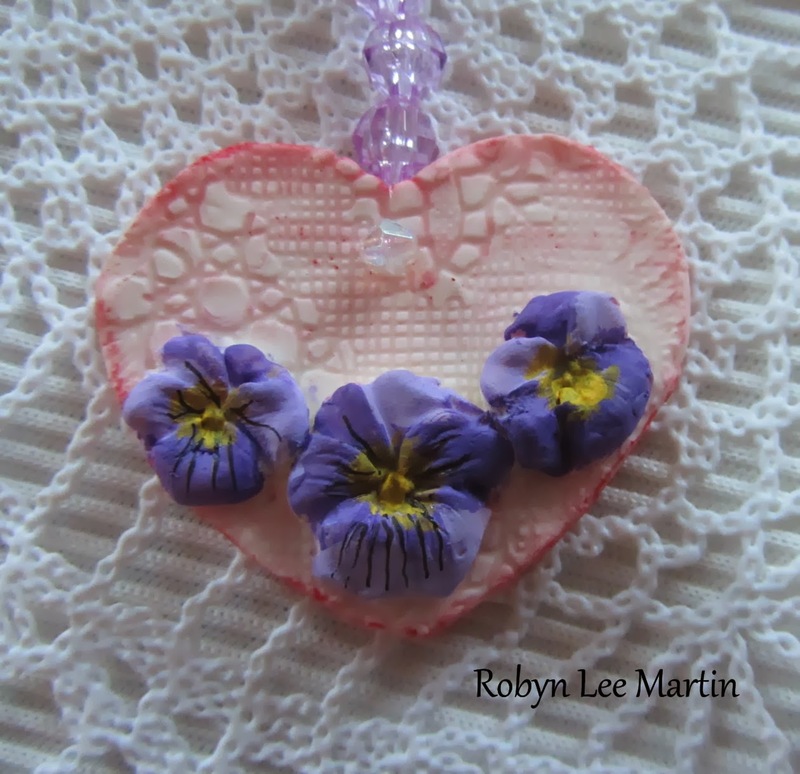 White Acrylic Paint (I use Gesso) 2 Tbsp. 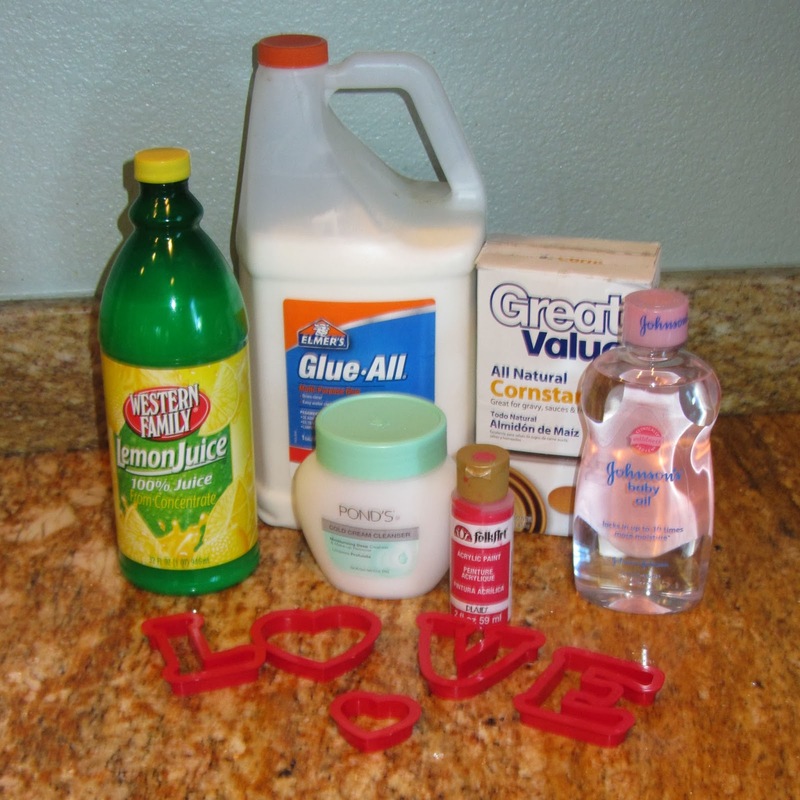 Baby Oil Mix all ingredients thoroughly. Mix to remove all Lumps. Place in microwave and cook for 1 minute. Stir. Check and cook for 30 seconds. Stir continue to cook in 30 second sessions. I cook for a total of 3 1/2 minutes. 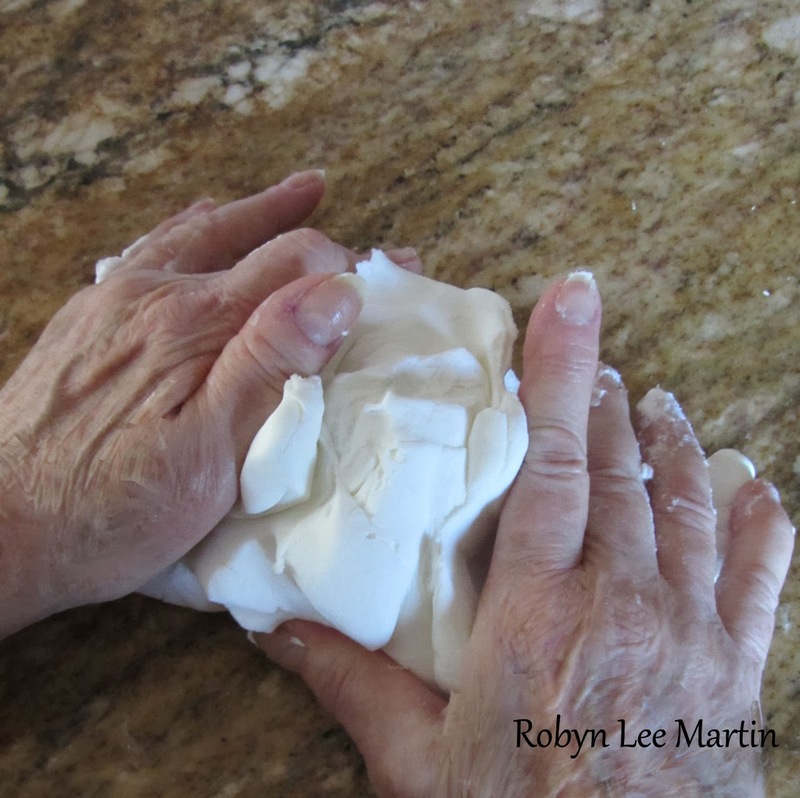 Clay is finished when it clumps together. Turn out onto a non-stick surface and knead thoroughly for 5-7inutes. Divide into 2 batches and roll into coils. Wrap in plastic wrap and store in a jar with an airtight lid. 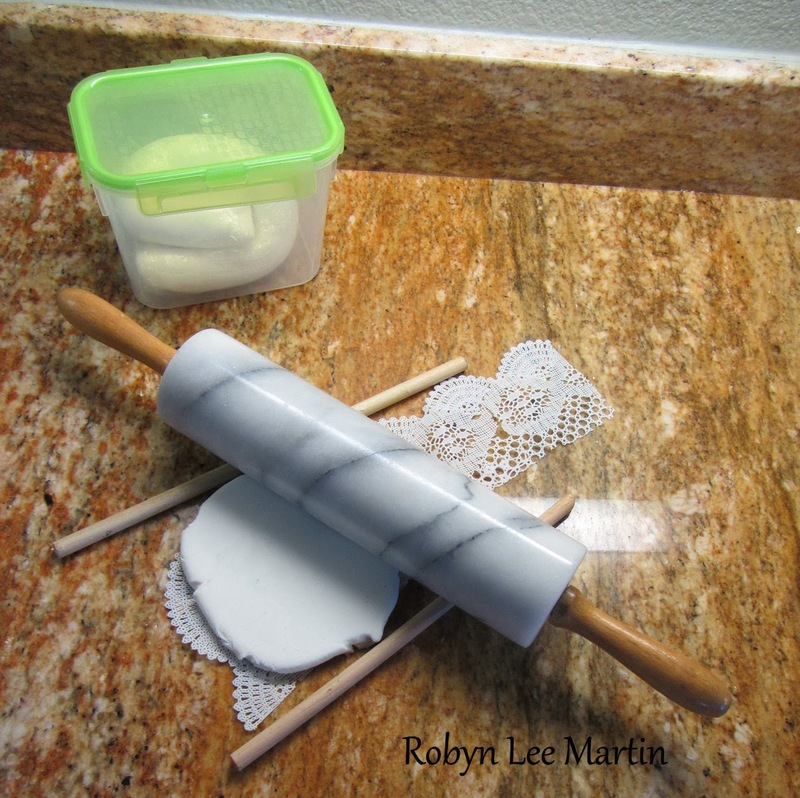 Roll clay out on a non-stick surface-like a piece of plastic doily. (This also adds texture!) I put dowels or paint stir sticks on either side of the clay to make the thickness around 1/4 inch" thick. Too thick will dry slower and thinner will sometimes warp. 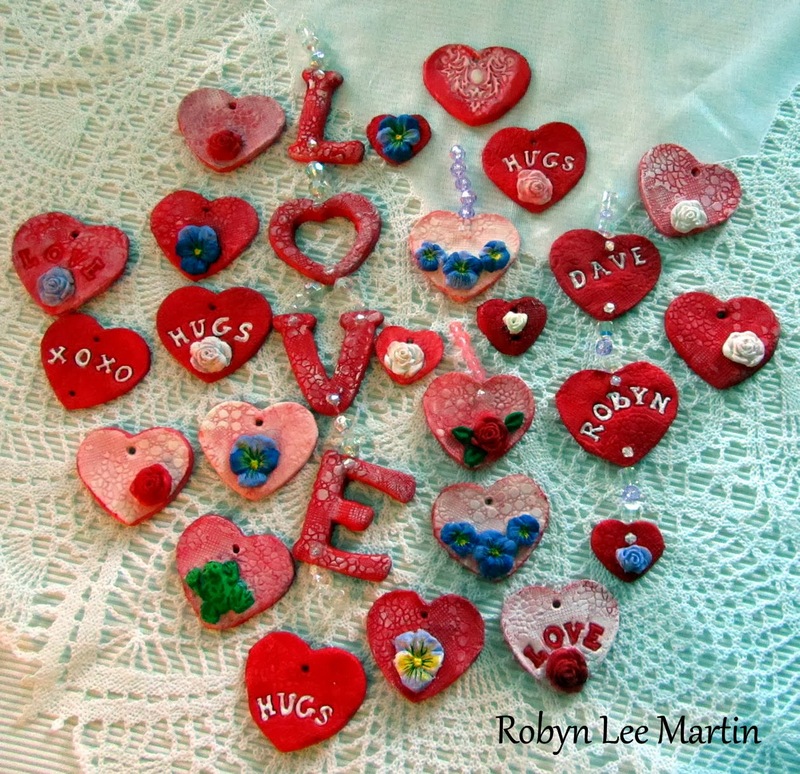 Use cookie cutters to cut out shapes. 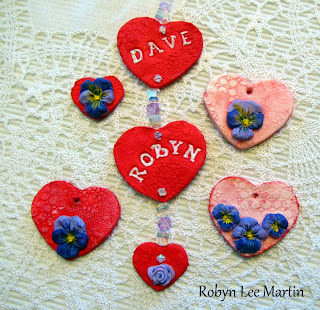 Place a hole for hanging, if making ornaments. 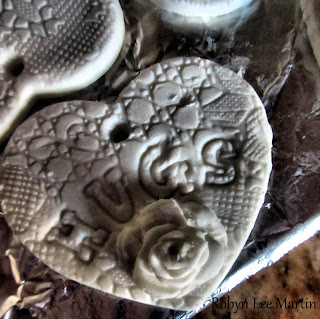 Molds make roses and other embellishments. Put a small amount of white glue on the back before placing on cut-out. Add texture for interest. Use stamps to make words. Let Ornaments air dry until firm. 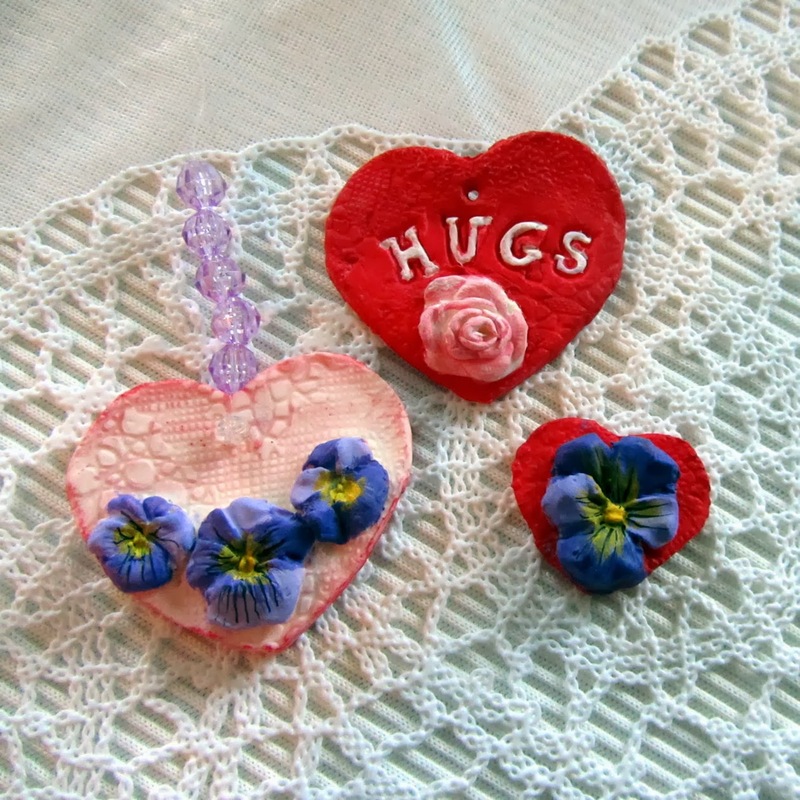 Turn ornaments over occasionally to prevent warping. 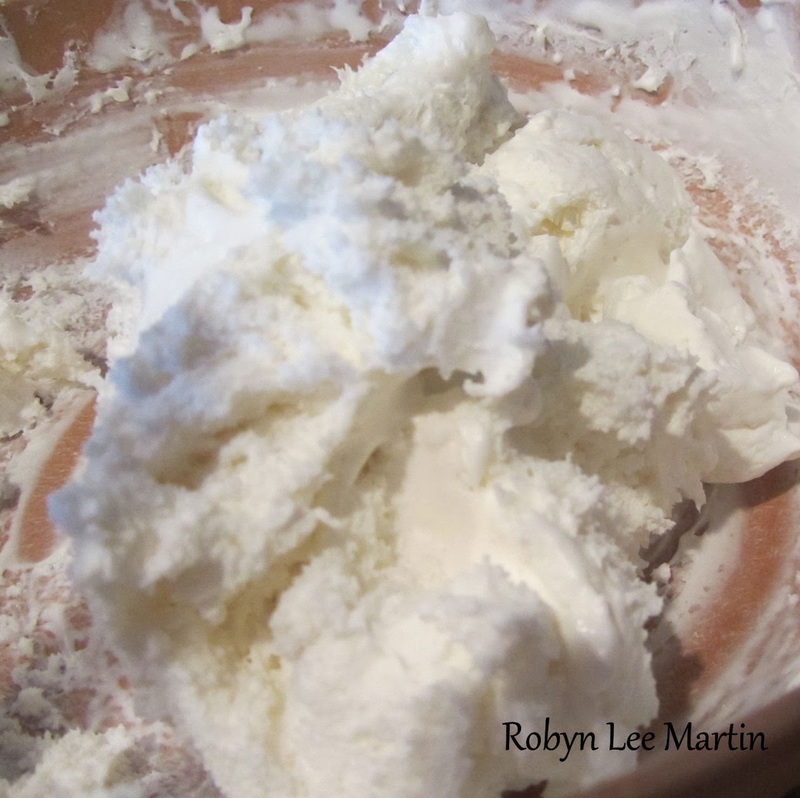 This is 1/2 recipe of Clay. When completely dry paint any way you want. Seal with acrylic sealer either matte or gloss. 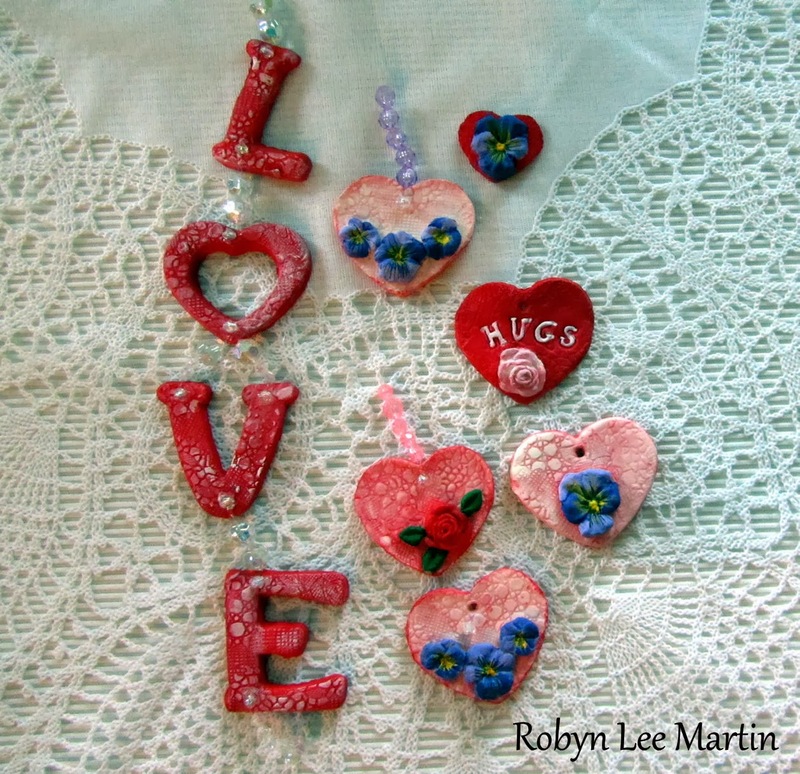 Thanks again to Robyn for this great tutorial....and just in time for Valentine's Day!